5 tips to make eating healthy easy! Does getting started on your fitness journey feel overwhelming? Focus on small goals that build on each other to pave the way to success! 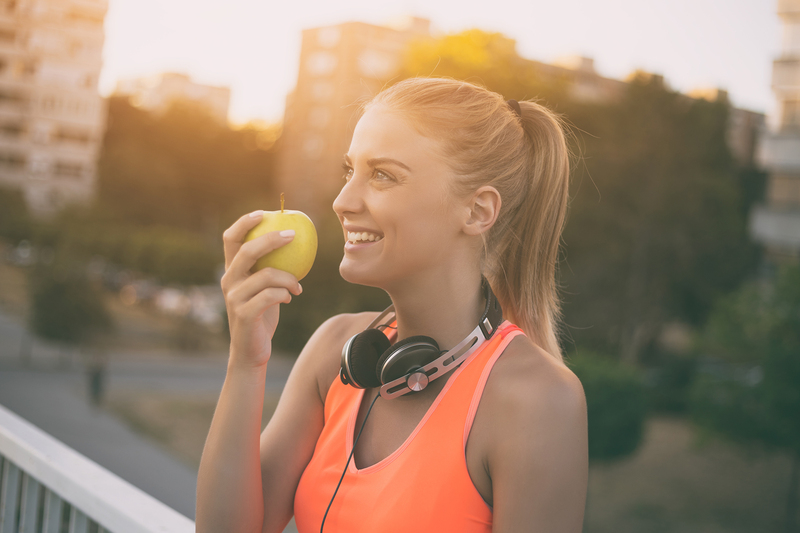 Pick one of these 5 tips to make eating healthy easy! Once you accomplish one goal pick another small goal and before you know it you’ll change old habits to healthy habits! American’s love to go big, and portion size is no different! If this is you try using a smaller plate to trick yourself into a lowering your caloric intake. Grab water, not a snack. Often we just think we are hungry because we are bored or thirsty. Skip the snack and drink a glass of water! Need a specific goal? Drink an ounce of water for every pound of bodyweight! Vegetables are packed with nutrients and a great way to fill your belly! Add a cup of veggies to dinner or skip the sandwich and have a salad for lunch! Need some ideas for vegetable sides? Click here to check out these 31 recipes that take 30 minutes or less! If you’re on the go try “the Med Salad” or “Chicken Veracruz” from Noodles or one of the healthy salads from Panera Bread! Don’t forget to go light on the dressing! Everyone loves snacks and sweets! However, when you’re trying to build new healthy habits, temptation wins more often than not. If you want to be successful, removing the temptation has helped many of our clients control their cravings at home! Go through you cupboards and get rid of those unhealthy snacks and replace them with fruits and veggies! If you don’t know where you’re at it is hard to figure out where to go! Take a day or two and audit your nutrition to really understand your what are the obstacles in the way of your goal! We recommend using MyFitness Pal. If you have questions or want to set up a time to review your MyFitness Pal results let us know! Need help building Healthy Eating Habits? If our contact form doesn’t work please email info@bearfitnessmn.com!